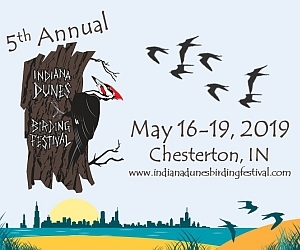 The pinnacle of Indiana Dunes birding is the state park’s Longshore Tower. Located at the park’s far west side. 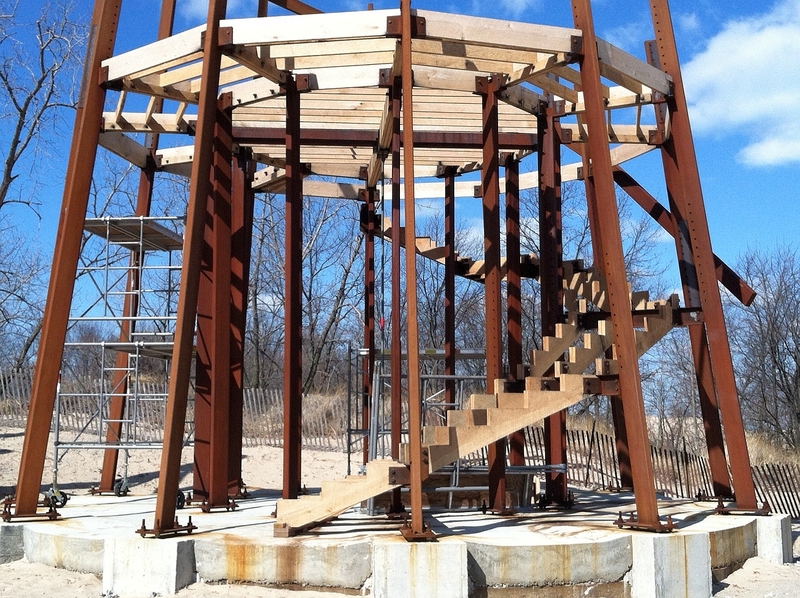 It sits atop a 60 foot dune overlooking Lake Michigan. It also is the start of Trail 3, which traverses an old blowout feature, where succession has been set back, and open dune and swale habitat create open prairie with scattered cottonwoods and Jack pine. The tower is most easily accessed by parking in the State Park West Lot (not West Beach, a part of the National Lakeshore), and climbing the stair case to the dune top. During early season counting, when the West Lot is still full of sand, birders may access the service drive that leads to the tower. Birders may park at the flat area, near the park’s water treatment plant. Please walk the final 100 yards, and leave the immediate tower parking for park staff and our official counter. 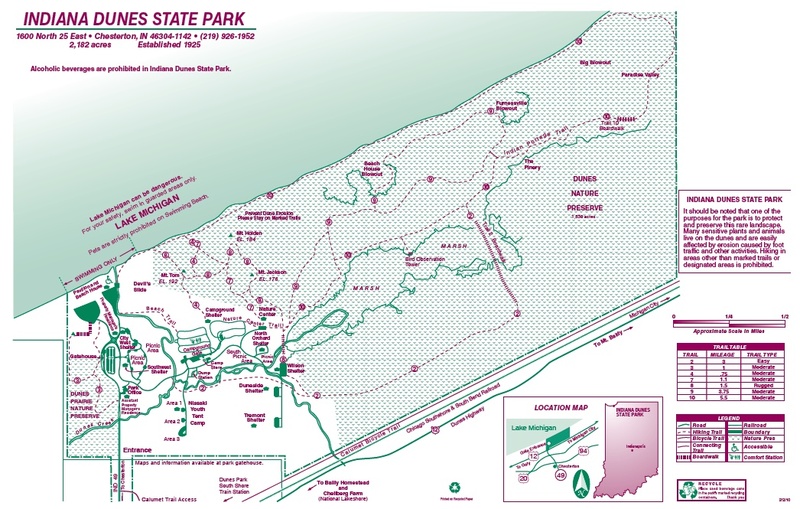 High Dunes Map showing Indiana Dunes State Park and vicinity birding locations. Map courtesy Ken Brock. 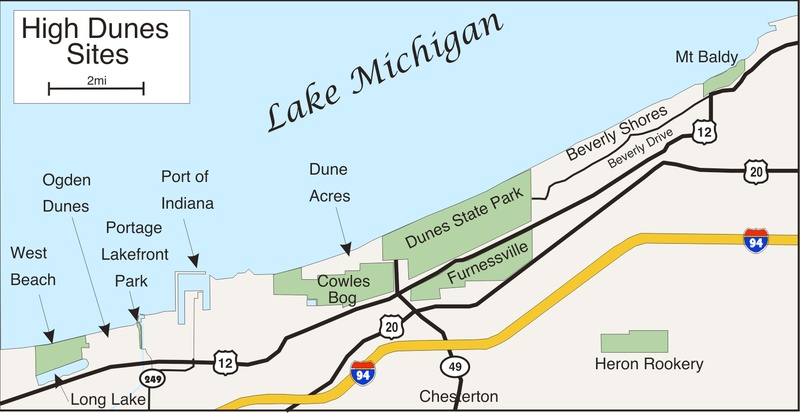 Dunes State Park map. Longshore Tower is located in the upper left side, next to the West Lot. Click on image for larger view. 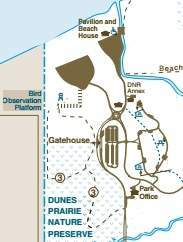 Zoomed in park map showing observation platform site. For many years hawk watches and longshore flights were witnessed upon a 32 foot green water tower. This site, simply called the Green Tower, was used until the tower was closed for visitors and finally demolished in 2007, when the state park switched over to the Town of Porter’s water system. Immediately after the tower’s demise, grass roots efforts began to rebuild a new tower to capitalize on the great birding here. After many years, and many groups involved, construction finally began in 2012. 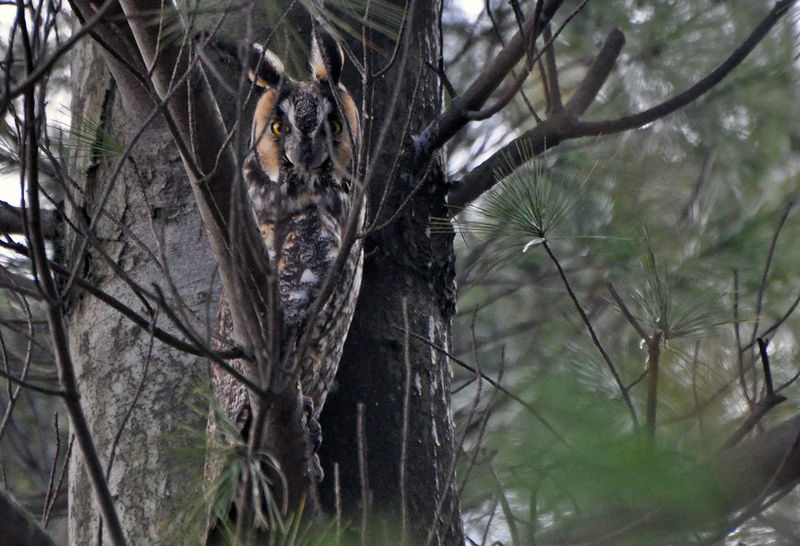 At a cost of over $150,000, the new tower is a strong platform that will provide excellent birding for decades. Longshore Birding Platform construction, early 2013. It is from here that many high counts for many species has occurred. Included in these are several state records, and potential top counts for the nation. Aside from the hoards of blackbirds and robins, daily peak counts of other species includes 100+ American Kestrels, 13,800 waxwings, 2,800 Yellow-rumped Warblers, 6,000+ Blue Jays, 2,200 goldfinches, 1,000+ Northern Flickers, 400+ sapsuckers, 400 orioles, 280+ Indigo Buntings, and many more! The Longshore Birding Platform sits atop a major ornithological highway.